Ferrari’s quadruple champion Sebastian Vettel disclosed that he made the decision to miss the next Race of Champions event despite having been a main protagonist over the last years and having won it multiple times. The Race of Champions event is an international motorsport event held at the end/start of each year, featuring some of the world's best drivers. The race was first organised in 1988 by former rally driver Michèle Mouton and Fredrik Johnsson, IMP (International Media Productions) President. Originally the event was a competition between the world's best rally drivers, but has since expanded to include top competitors from the world’s premier racing series. The event consists two days of race running, one is the Nations’ Cup where two fellow countrymen form a team, the other one is the individual race, the Champion of Champions. The cars used in the event are: ROC Car buggy, the KTM X-Bow, the Audi R8 LMS, the Lamborghini Gallardo SuperTrofeo, the VW Scirocco R-Cup and the NASCAR European Stock Car. The Ferrari star driver has been an integral part of the event for many years. He competed with the seven-time world champion Michael Schumacher several times in the Nations’ Cup. 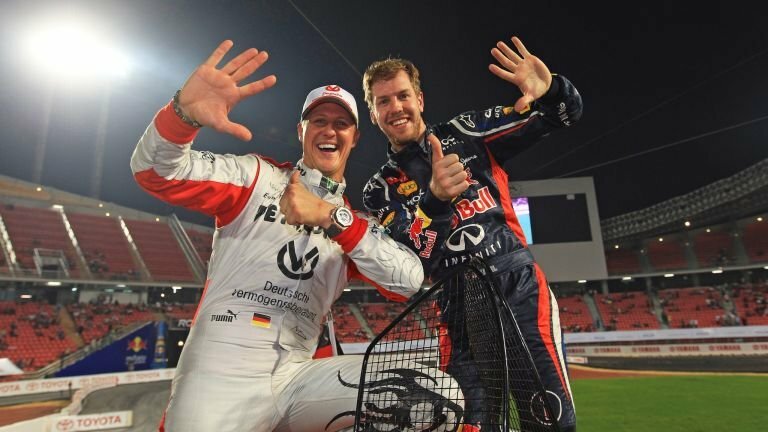 The duo of the two great German drivers showed sweeping dominant form in six consecutive years, scoring victories from 2007 to 2012. 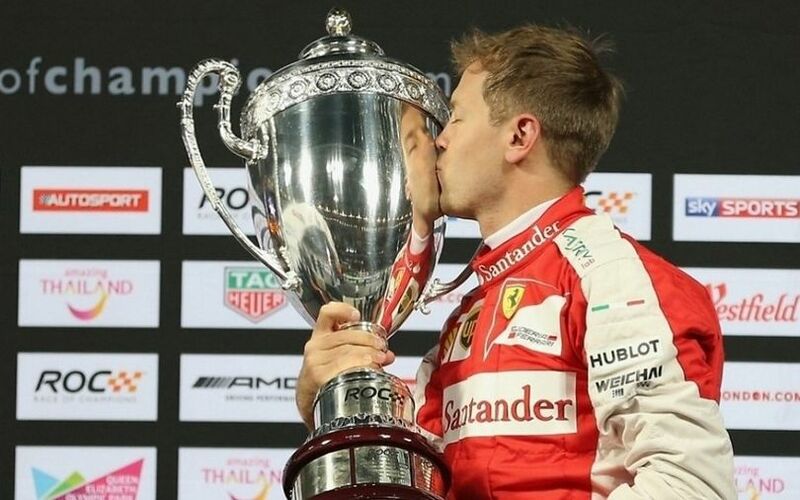 Vettel was the Champion of Champions in 2015 when he won the Race of Champions in London. Last year, the German was victorious in Miami in the Nations’ Cup, winning the race alone without a team-mate after Pascal Wehrlein did not compete in the Nations Cup after suffering an accident during the Champion of Champions event the day prior. The four-time F1 world champion is the record-holder in the history of the ROC with his eight combined wins in front of Michael Schumacher who has six combined victories to his name. After this run of successes, it came by surprise that Vettel won’t participate in the next ROC event, but the German explained that his wish to win the title with Ferrari, the fabled Italian team is greater than ever. He intends to spend as many days as possible at Maranello to work with the engineers and in the simulator. The 30-year-old may have missed the world title this year, but his approach, his work ethic is unquestionable. In the past years, he has been arguably the most diligent and humble driver in Formula 1 with his ceaseless work. He has been showing that by staying at the race tracks longer then any other driver during GP weekends, completing more testing mileages than any other driver in 2016 and spending uncountable hours in Ferrari’s headquarter. "My goal is to take Ferrari back to the top. I think it would be magical to take the title back to Maranello, just like Michael Schumacher managed to do. He still inspires me," said the German.